Interstate 670 is a shorth highway in the state of Kansas. 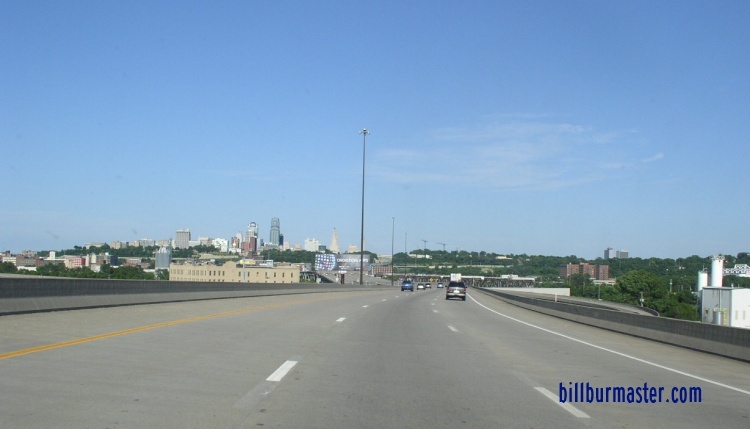 This runs in Kansas City, from Interstate 70; U.S. Rt. 24/40/160 to the Kansas/Missouri State Line. It is 1.64 miles in the State of Kansas. 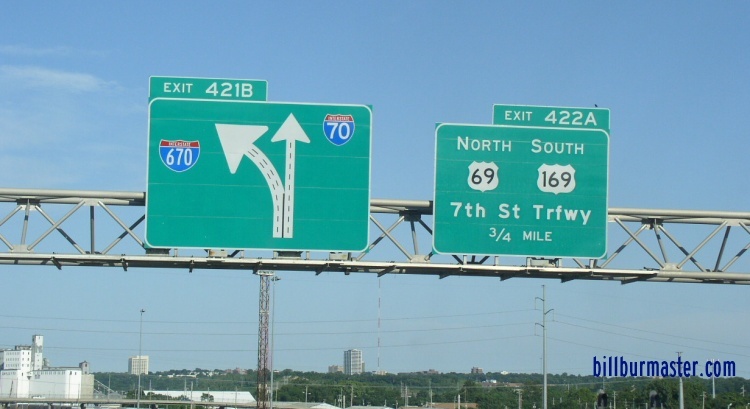 In Kansas, I-670 is not multi-plexed. 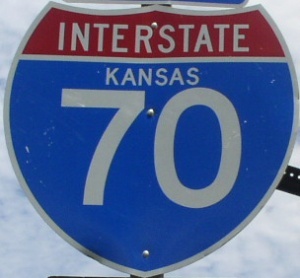 Interstate 670 crosses the following interstate in the State of Kansas. 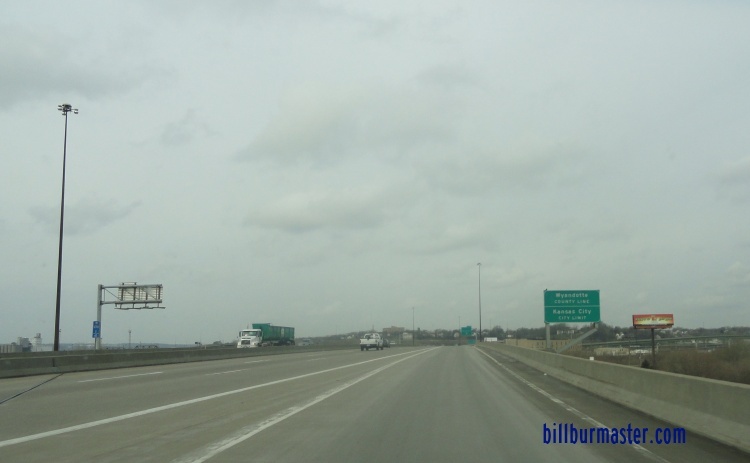 Interstate 70, at Kansas City. Info on the parent route to I-670. 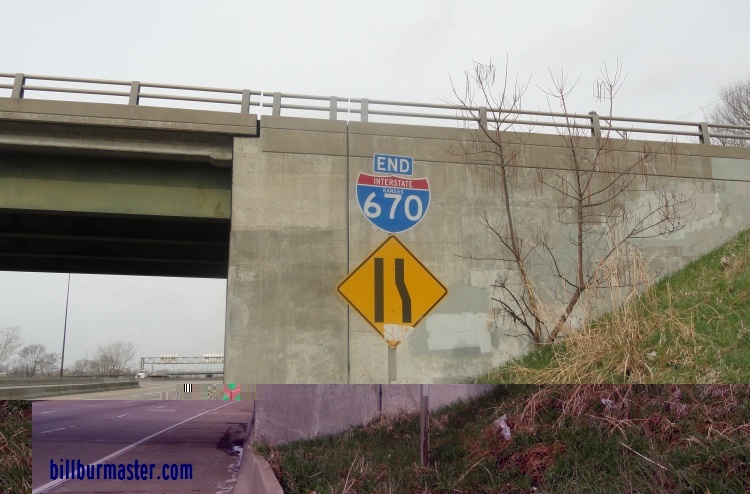 A BGS on EB I-70; U.S. Rt. 24/40. 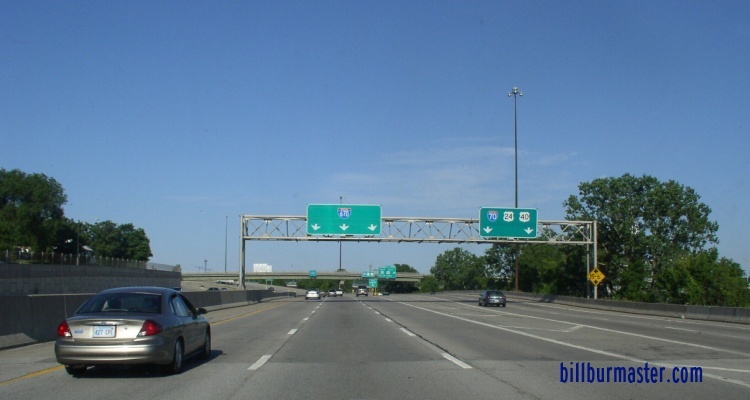 The western start of I-670. 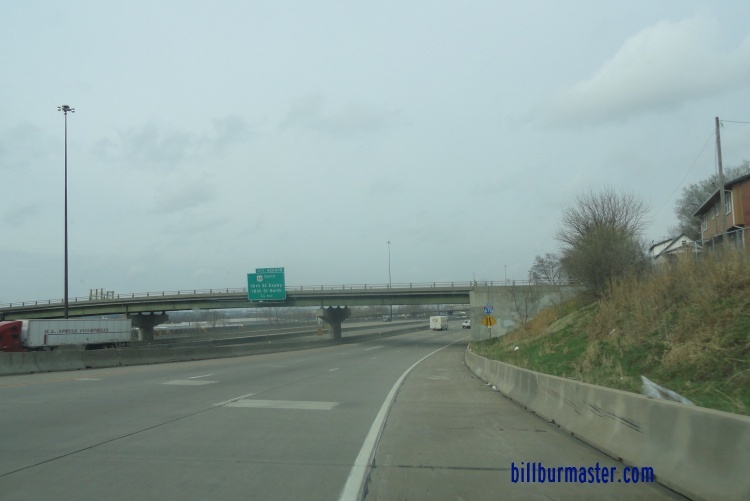 The western end of I-670. 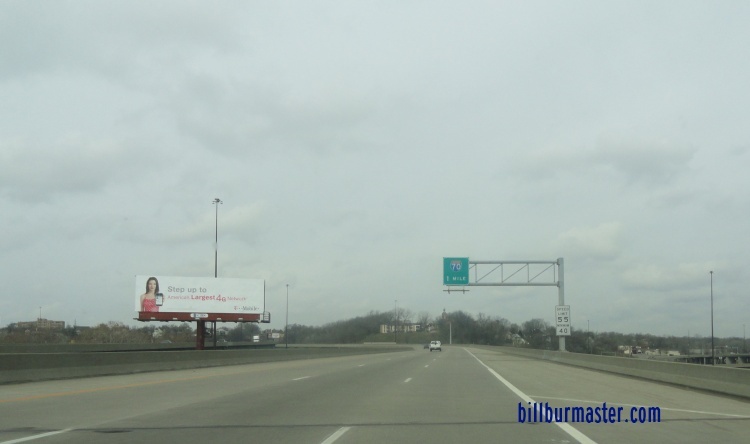 EB I-670 east of I-70. 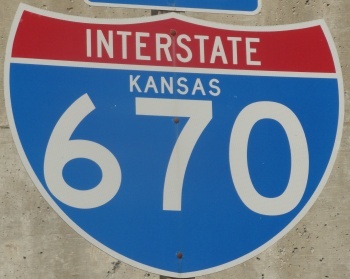 WB I-670 at the Kansas Welcome Sign. 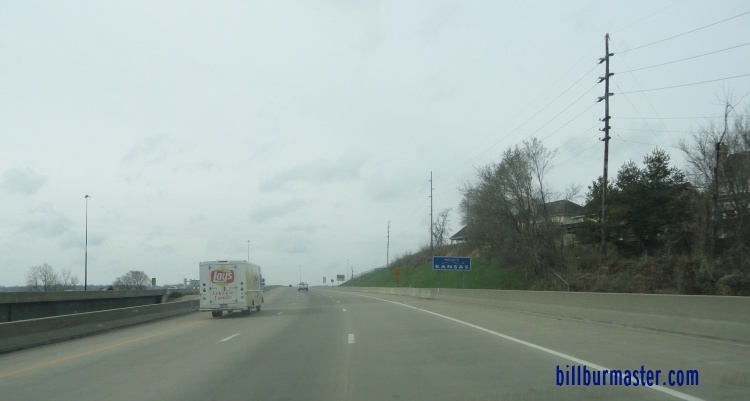 WB I-670 at the Kansas/Missouri State Line.